All is set for the return leg of the African U-23 Championship final qualifying fixture between the Dream Team of Nigeria and the U23 team of Congo. The first leg, played in Port-Harcourt Nigeria ended 2-1 in favour of the Nigerian side. As it is the Congolese needs only one un-replied goal or a goal-draw to advance due to away goal advantage , while Nigeria needs a no goal draw or a win to qualify. Follow the match live here on soccernet.com.ng at 3:30PM (Nigerian Time). FT in Pointe Noire: Congo 0 Nigeria 0. 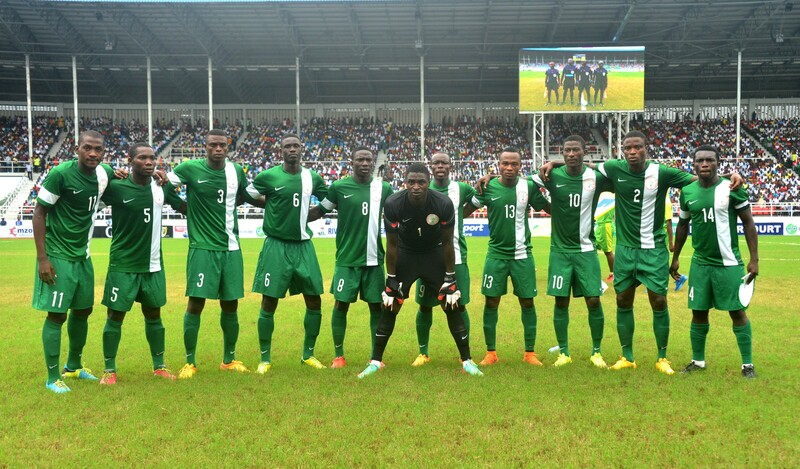 Nigeria qualify for CAF U-23 Championship 2-1 aggregate. 76′ Kingsley Sokari on for Usman Mohammed. 35′ Congo 0-0 Nigeria. Not too many activities going on. #CommunityShield Update: Arsenal 1-0 Chelsea. (Chamberlain) Left foot drive into the top corner. 0′ Kick-off! The game is underway.